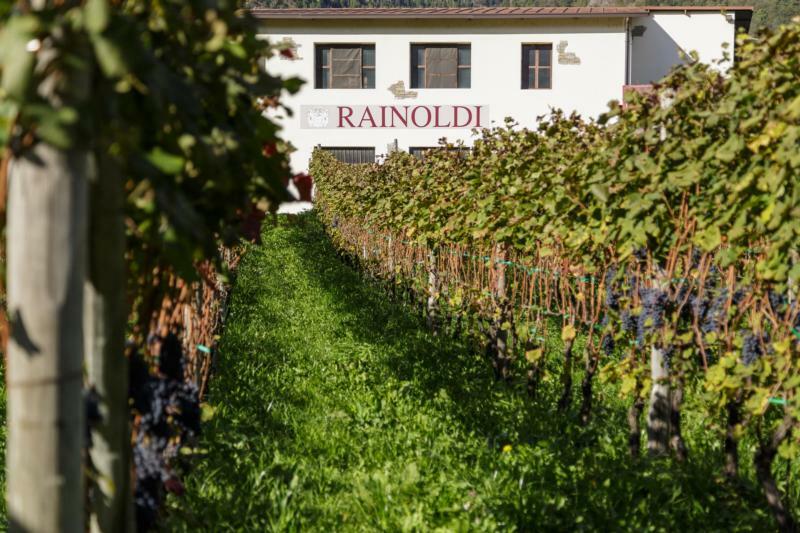 Founded in 1925 by the current proprietor's grandfather, Casa Vinicola Aldo Rainoldi is THE flagship estate in the Valtellina, the heart of Lombardy's heralded Nebbiolo-growing region. The northernmost wine region in Lombardy, vineyards in the Valtellina are located at extremely high altitudes (600+ meters) and are protected from cold, harsh winds by the nearby mountain peaks, which also trap the heat in the valley. The stony schist-based vineyard soils also retain heat and release it during the night to warm the vines. These conditions provide a long, slow growing season for Nebbiolo, known locally as Chiavennasca, allowing it to fully develop its flavors over a long, slow growing season. Vines here are cultivated exclusively by hand on the impervious (but optimally exposed!) steep slopes along the north bank of the valley. Rainoldi's production ranges from his very accessible IGTs, to his astounding Valtellina Superiore bottlings of the classic subzones of Sassella and Grumello, as well as an impressive Inferno Riserva, the elegant "Crespino," made from higher elevation vineyards in the Valgella and Grumello subzones and his flagship, regular Tre Bicchieri award-winning Sfursat Ca' Rizzieri, an Amarone-style wine made in favorable vintages from a selection of the best grapes. And, a complete curiosity for the area, Aldo is the only producer to make a méthode champenoise rose...from Chiavennasca! When all of the challenges and special care that go into making these unique wines are factored in, it is truly amazing to be able to offer them at these prices, and since we import them directly from the estate we are able to pass on even better, direct pricing to you!